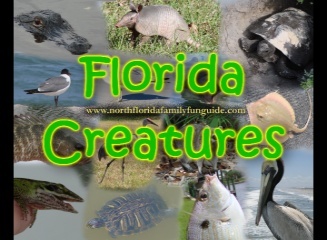 Florida's amazing and diverse animal kingdom is captured here in "Florida Creatures, a Florida Wildlife Presentation". Chase the armadillo, soar the skies with the seagull, smile at the dolphin, and warm your heart at the mother duck and her baby ducklings out for a swim. Come celebrate the dramatically different habitats and environments that Florida has to offer, while enjoying a collection of my best animal pictures of Florida wildlife! Pop Quiz: How many animals can you count in this video?? Put your best guess in the comments section of the YouTube Video! Better yet, can you name all the species????? Have fun and enjoy! !